Hope you are all gearing up for the bank holiday weekend. 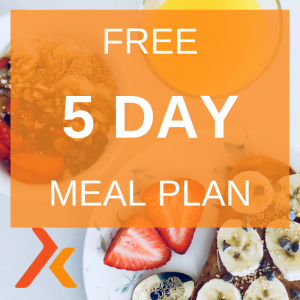 If you want to get on track with your food for the next 5 days before the Easter break I’ve created a meal plan for you. To lose weight you need to be in a calorie deficit, but counting calories can be a faff so be following a simple 5 day protocol and adding in some intermittent fasting on 2 days and 3 days of eating 3 balanced meals you can pretty much guarantee you are in a deficit. Sometimes we just need a structure and a framework to follow to help get on track. Do You Need More Help And Support? 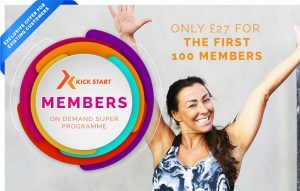 If you need more help and support from me directly that you can join the Kick Start Members Club. With the Members club you are able to join the private Facebook Group where I do all the daily LIVE Coaching and check in with you to ensure you are doing everything correctly. You can ask questions, ask for help and I can support you on a daily basis. You also get access to more programmes to follow every week until you hit your goals. If you need more support, accountability and struggling to do it alone – jump in. I’m working every day with the women in the group to help get them the results they want from their nutrition, fitness and mindset.